The Kanomax 6036 Anemomaster now comes in Professional and Standard versions. 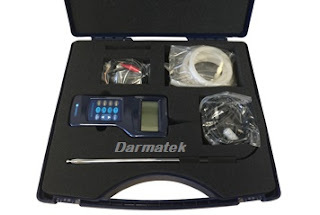 The Professional model has built-in datalogging and a USB PC communication cable. The Standard is a affordable alternative for the contractor seeking an economical, but still highly accurate instrument. The articulating probe has been improved with enhanced durability. The new design flexes easily and will last for many years. The telescoping feature of the probe makes it easy to take traverse measurements at ceiling ducts and other hard to reach places. 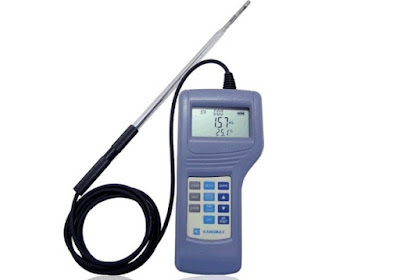 Kanomax 6035-0G Anemomaster Standard is a hot-wire anemometer with a telescopic probe. The Kanomax 6035-0G is an economical, yet highly accurate anemometer that is sleek and ergonomically designed for day to day use.